Computational fluid dynamics (CFD) is a method to analyze fluid flows. It pushes the development and engineering of bionic applications. With the help of CFD complex flows of all kind can be simulated through numerical calculations on the computer. Even complicated flows can be simulated, so that they can be displayed, understood and optimized. A lot of machines and processes function on the basis of fluid flows like gase, air, water or other fluids. As a consequence of this, fluid simulation can be utilized wherever fluid or gas streams have an important impact on the functionality. Even interactions with other significant parameters like pressure, temperature, heat transport or mass transport can be evaluated with CFD analysis. CFD simulation is a cost-saving alternative to expensive tests in the wind tunnel or water tunnel and offer fast and economic solutions. Bionic surface technologies uses the worldwide leading work package ANSYS Fluent and achieves with ANSYS fast and professional results. aero helmet, car prototypes, bicycle rims etc. 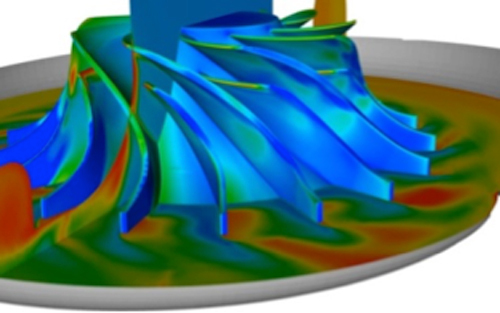 On our website you can get a general overview of our public CFD simulation projects. We would also like to provide you with CFD simulation consultancy to show you the possibilities of a CFD analysis and which benefits and performance improvements you can gain.